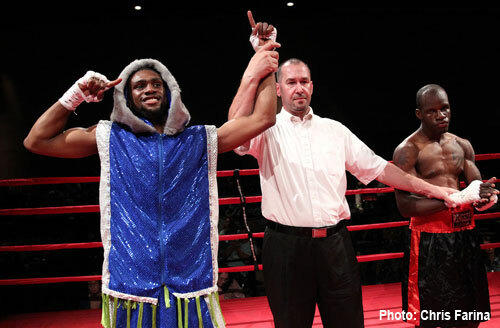 Philadelphia has two new potential boxing stars in Jaron “Boots” Ennis and Joshua Jones. Both had fine amateur careers and both recently made their professional debut with knockouts on April 30th in Utah. 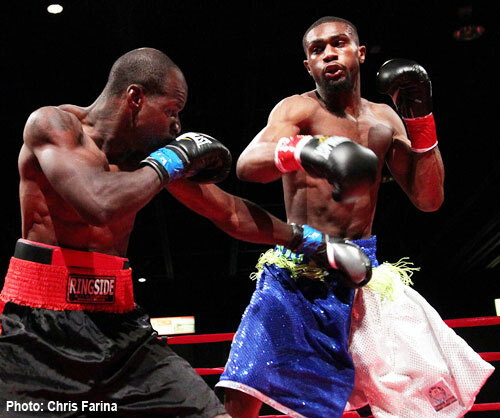 Welterweight Jaron Ennis added his second KO on May 14th at the Sheet Metal Workers Hall in South Philly. Joshua Jones, a lightweight, was also scheduled to appear on the show, but unfortunately he suffered a training injury and had to pull out of the show. Ennis is keeping busy and returns on June 3rd at the 2300 Arena in the next Peltz Boxing / BAM Boxing card. This writer interviewed both Ennis and Jones at Bozy’s Dungeon, a North Philadelphia gym operated by Bozy Ennis, Boots’ father / trainer. Bozy also trains Jones, along with Aaron Ford of the Marian Anderson Rec Center in South Philadelphia. Both boxers signed managerial contracts with Cameron Dunkin who has made a habit of managing world champions like Kelly Pavlik, Timothy Bradley, Brandon Rios, Nonito Donaire, Steven Luevano, Terrance “Bud” Crawford, Mikey Garcia and Danny Romero. Bozy Ennis approved of the deal with Dunkin, based on previous experience. “I have known Cameron for some time with both Anthony “Messenger” Thompson and Demetrius Hopkins signed with him,” said Bozy. Ennis and Jones both had extensive amateur careers. Ennis finished his amateur career with a record of 58-3 after losing a pair of controversial bouts with Gary Antonio Russell at the Olympic Trials in December that ended his Olympic ambitions. However when Russell had to recently drop from the current USA Olympic team, Ennis was asked to fill in. “Even if my son didn’t turn professional already, there is no way I would let him replace Russell, who he beat but never got the decisions,” Bozy said. Other than the Trials, Ennis won everything else in 2015 including the National Golden Gloves championships. At 18, he is the best looking prospect since 1984 Olympic Gold Medalist and two-division world champion Meldrick Taylor. “I felt great after the first (pro) win and thought, ‘when is my next fight?’” Ennis said. Jaron in the youngest of three fighting Ennis brothers. 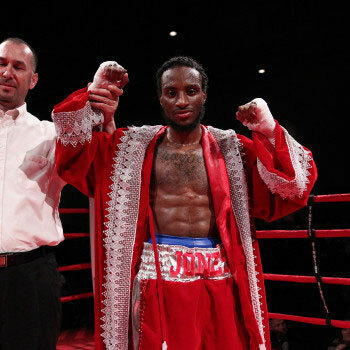 Derek “Pooh” Ennis was the USBA junior middleweight champion and Farah Ennis, known as “The Quiet Storm”, was the NABF super middleweight champion. Jaron has a chance to accomplish even more than his big brothers. Boots has sparred with a list of boxers almost too long to mention, but here goes: former world champion Kermit Cintron, Emmanuel Taylor, Sam Teah, unbeaten Scott Kelleher, unbeaten Omar “Super O” Douglas, Anthony Flores, Angel Ocasio, Mikael Zewski, unbeaten Milton Santiago, Thomas “Cornflake” LaManna, Jerome Conquest, unbeaten super welterweight contender Julian Williams, current Olympian Shakur Stevenson and even 2012 female Olympic Gold Medalist Claressa Shields. The list goes on and on. While Ennis spends his weekdays at the gym, he attends Authentic Life Church at Broad & Thompson on Sundays. 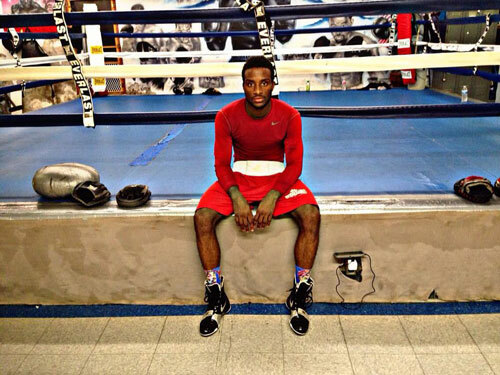 “He has all the potential, and in time will be a world champion,” said unbeaten Philly boxer Damon Allen. In his debut, Ennis surprised his opponent (Corey Muldrew) by coming out southpaw. A three punch combination put him down which included the count. The fight only lasted 45 seconds. “I thought it surprised him with me coming out southpaw,” said Boots. In his next fight, Ennis stopped Puerto Rico’s Luis Ramos in just 23 seconds and broke the nose of Luis Ramos, at the Sheet Metal Workers Hall. After Joshua Jones’ debut knockout over Jason Thompson, the Philadelphian said, “It’s always been my dream to be a professional boxer. I watched boxers like Floyd Mayweather, Jr., and Canelo Alvarez”. As an amateur, Jones won such titles as the PA Golden Gloves, the PAL Championships, and the Junior Olympics. His amateur record was 70-25. “He really makes me feel comfortable,” Jones said of his new manager Cameron Dunkin. Like Ennis, Jones has sparred with many top boxers, including Karl “Dynamite” Dargan, “Hammerin” Hank Lundy, Damon Allen, Milton Santiago, and Frank Trader. He also fought Gervonta Davis in the amateurs. “Joshua Jones is a coach’s dream - a quiet, intelligent student of the game with plenty of power in both hands. Fighting from the southpaw stance, he reminds me of WBO junior-welterweight champion Terence “Bud” Crawford,” added George Hanson. “They are two great kids with a great future,” said Brittany Rogers of BAM Boxing Promotions. This writer agrees with every praise of both Ennis and Jones, and cannot say enough about either young man - in and out of the ring. 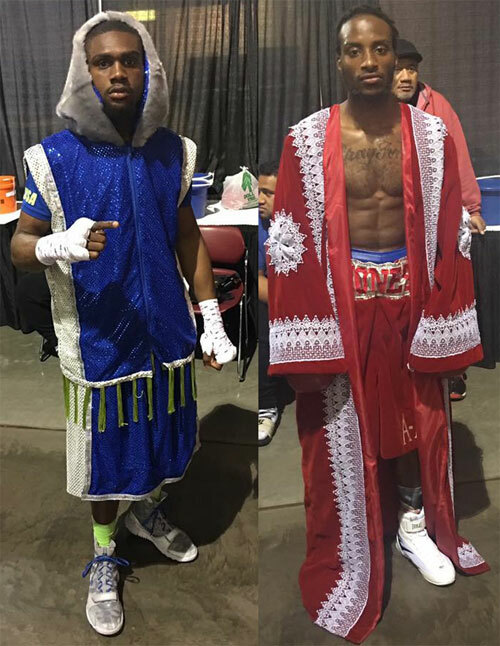 With only one world champion currently (Danny Garcia), Philadelphia looks to seeing both Jaron Ennis and Joshua Jones develop into world champions.